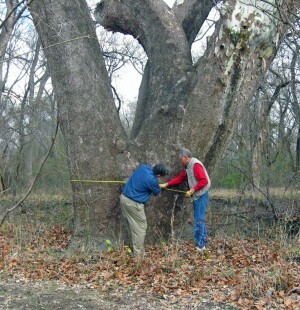 At the farthest point of the northern loop is the second largest Sycamore Tree in Texas and it is worth seeing! The Trinity Trail Preservation Assn. maintains the 26 mile long Trinity Trail along Lake Lavon in Collin County, TX. Information on the trail can be found at www.trinitytrailriders.org. There are three trailheads from south to north: East Fork, Brockdale and Highland Park. At the southern end is the East Fork day use trailhead, plus an equestrian campground which is part of the US Army Corps of Engineers East Fork Park. There are 11 pull through spaces big enough for the biggest rigs, two pens per site, water, electric, covered picnic tables, a pavilion and showers and bathrooms. Reservations can be made through www.recreation.gov. From East Fork to Brockdale is about ten miles. Half-way there is a small picnic area at Collin Park. Brockdale to Highland Park is about 7.5 miles and the northern loop is eight miles. 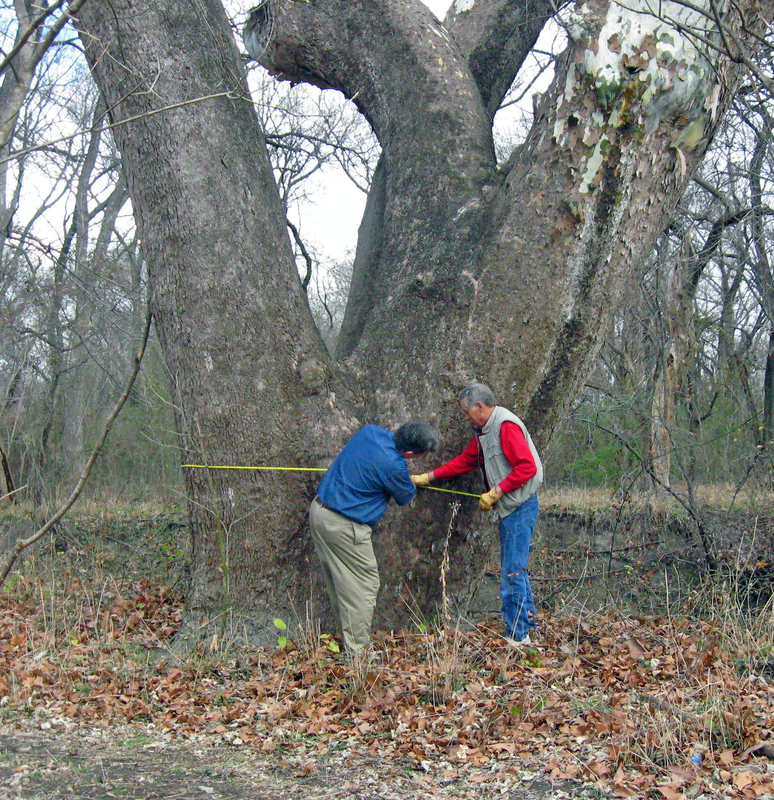 At the farthest point of the northern loop is the second-largest Sycamore Tree in Texas and it is worth seeing! The trail is appropriate for beginners and the terrain varies along the way from cedars to meadows to an old hardwood forest along a large creek.